In a global sense, everyone knows that texting and driving is dangerous. The same way people know fries will clog your arteries and sugar will increase your insulin and make you gain weight. Yet the fast food industry and sugary-food makers are making millions of dollars a year. What gives? Knowing something is true should affect the way people behave, but often it doesn’t. People think that rules don’t apply to them, that they know better than others how to manage how much they eat or how many seconds they look away from the road. In fact, a study published earlier this year found that despite the fact that drivers who are looking at their phones are six times more likely to crash, more and more drivers don’t think its dangerous. The study surveyed close to 450 drivers, 68% of whom reported that they would need convincing to be sure that texting and driving really is unsafe. Another study from Ohio State University found that when people try doing two visual tasks at the same time- just as texting/scrolling and driving, their performance in both is significantly diminished. However, the research shows, drivers are generally overconfident in their ability to combine two visual tasks. In other words, drivers can’t adequately focus on the road while their eyes are on their phones- but they think they can. 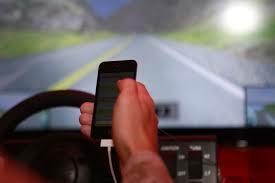 The National Safety Council (NSC) reports that around 1.6 million crashes a year are caused by cell phone usage. Research from King’s College in PA revealed that 80% of college students text and drive. Cell phone use causes over 3,000 deaths and 330,000 injuries annually. What will it take to stop this dangerous killer? Penn University and Children’s Hospital of PA recently received a major grant to research and create projects to decrease driving and cell phone use. 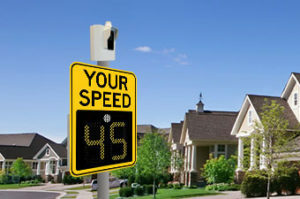 Cities can do their part with educational campaigns and devices that alert drivers and increase awareness such as driver feedback signs and speed awareness cameras. Ultimately, the choice to text and potentially hurt, kill, or maim is in the hands of the driver. It’s our job to figure out how to convince them that they don’t know better. That fries will clog their arteries as much as their neighbors and that they aren’t any safer using their phones than the guy in the news who’s serving 20 years for manslaughter. PreviousPrevious post:Municipalities Leading the WayNextNext post:What Are Your Plans for a Safer 2019?